Farmers love tinkering with machinery to adapt it to their needs and many farms have become the base for successful engineering businesses. Jane Carley profiles three Lamma exhibitors which have diversified into manufacturing. They say necessity is the mother of invention, with HM Trailers coming into existence when a new barn on the Perry family’s Essex farm was too low to tip trailers into. With some experience in building heavy cultivators, HM standing for ‘Heavy Metal’, Mr Perry designed a new trailer with the tipping point moved forward, on a shorter chassis which would accommodate a taller body. “Stability was a concern, so we used a wide chassis where possible. The shorter, wider chassis is stronger with more load capacity,” he says. 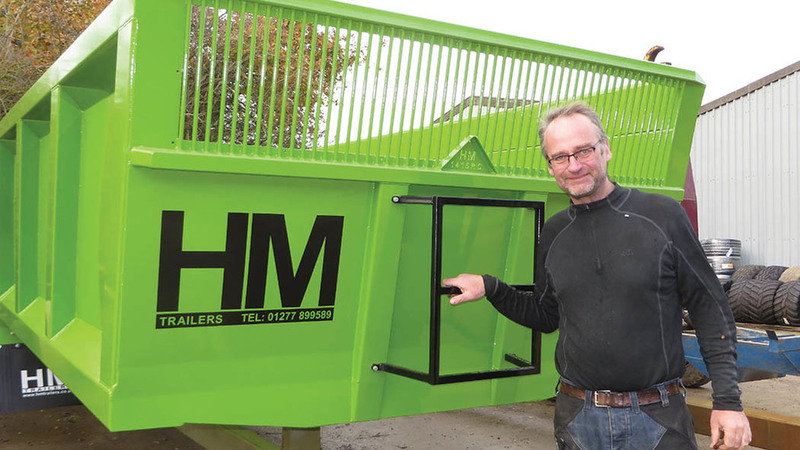 Much of HM Trailers’ work is bespoke, and Mr Perry comments; “Cost is always an issue with trailers, but many of our designs are carrying out high value work, such as our dump trailers which are used alongside articulated dumpers on construction sites. Another example is a fleet of tri-axle trailers commissioned for Warter Priory Farms in Yorkshire. Rear steering axles were accommodated in the wide chassis design by placing their springs on the inside of the chassis rather than on the outside. Central Tyre Inflation (CTI) is generating considerable interest among customers, comments Mr Perry. “We use spare air capacity from the tractor stored in tanks on the trailer rather than fitting an expensive compressor, and can inflate from 10psi to 37.5psi in 12 sec, before topping up to 60psi. Problem solving is eagerly grasped by HM Trailers – Mr Perry cites a design for high speed cattle trailers to meet the need to transport stock greater distances at speed. The company’s location close to London means that many farming customers have diversified their businesses, and its hooklift range offers numerous opportunities. 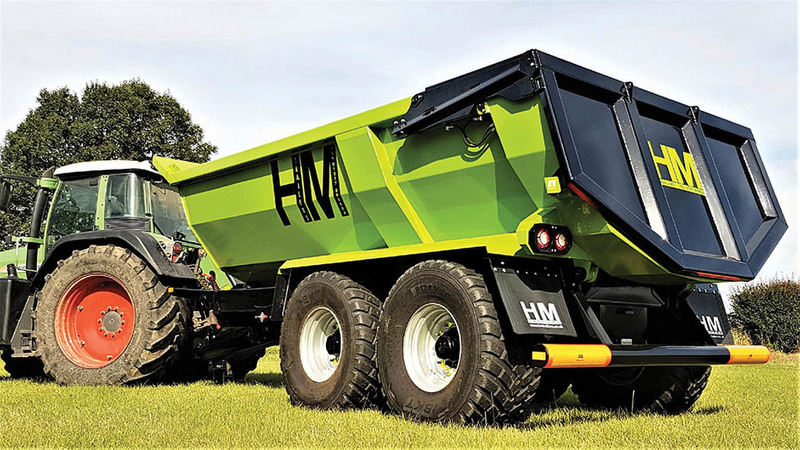 Mr Perry adds that many of HM Trailers’ customers are seeking to do a number of jobs with one trailer, whether it is carrying a loader as well as fertiliser, or fitting a bowser to a flatbed for busy spraying periods. This is an approach which the company is applying to its hire fleet. Producing 100 trailers a year, which has remained static as trailer projects become more complex and unit values increase, HM trailers has 17 employees at its base, still on the family farm near Ongar. “There is always the intention to focus on the most profitable products, but sometimes you need to take on work to ensure that staff are kept busy,” comments Mr Perry. Combining farming knowledge with outside manufacturing skills is another approach. Bullock Tillage was born out of an interest in machinery for brothers Nigel and Jim Bullock, who farm 80 hectares (200acres) of their own plus 160 hectares (400 acres) in tenancies and contracts near Great Malvern, Worcestershire. 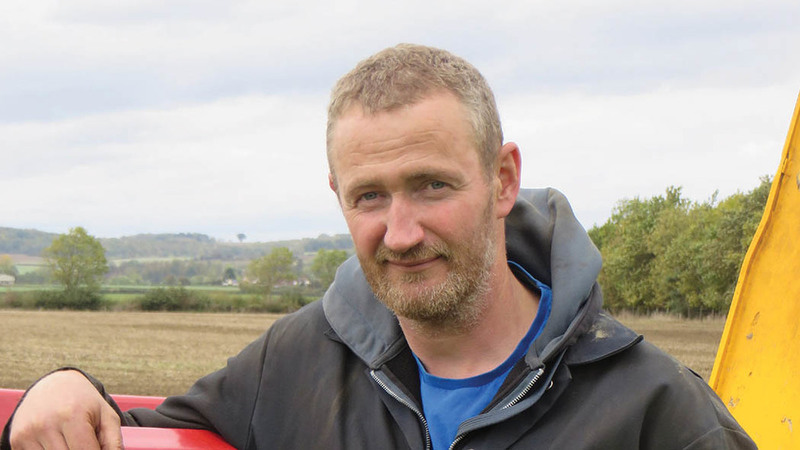 Nigel Bullock explains; “We have moved increasingly towards min-till and direct drilling, and Jim is very involved in direct drilling research, having designed tools and systems for other manufacturers. In search of a seeder to go on the back of a cultivator, the brothers travelled to the French Sima show, and along with business partner Ross Pushman, agreed to take on the distribution of a French system in the UK and Ireland. Forming links with a Polish manufacturer brought disc units, harrows and cultivators to the range. “The implements seemed to meet a demand for well-priced, good quality kit,” comments Mr Bullock. Jim Bullock is well known for his cover crop trials, and the Disc-Sub uses five large diameter discs ahead of the subsoiling legs to cut through the soil surface and cover crop residues, reducing the heave in front of the legs. A steel packer at the rear firms the seedbed. 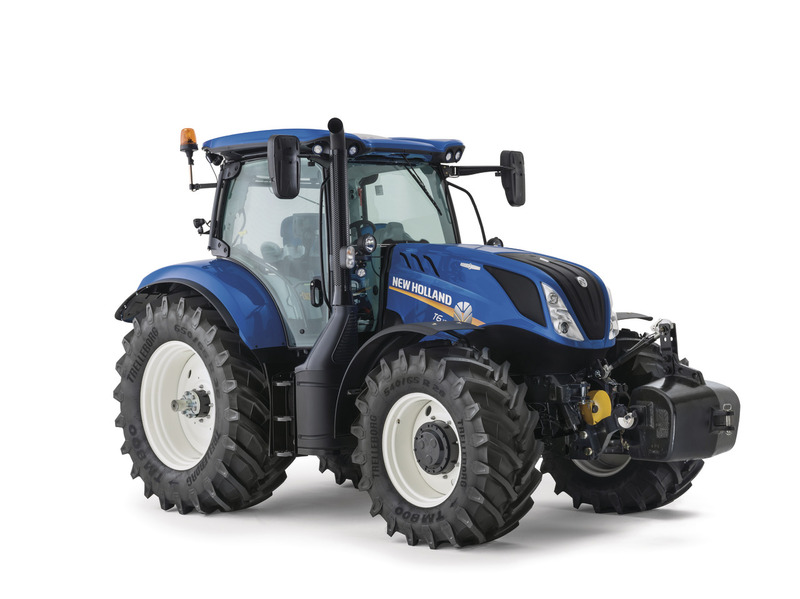 “No implement has unique components – we feel that farmers need to be able to source spares easily from their local supplier,” comments Nigel Bullock. 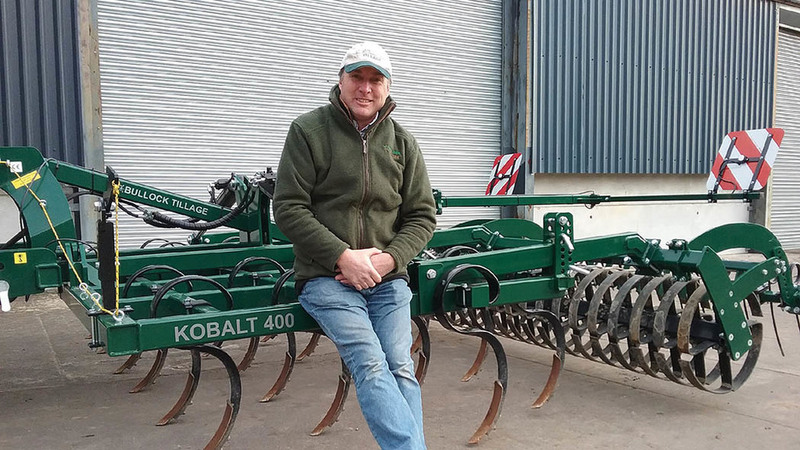 After some supply issues, Bullock Tillage joined forces with a larger Polish manufacturer and agreed that the product range should be painted in Racing Green for the UK market. Next on the agenda is a direct drill. “We will have the first one on evaluation on our farm for a season so that we fully understand how it works in different conditions before bringing it to the market,” Mr Bullock comments. Warwickshire manufacturer Heath Engineering was established in 1946, when Harold Heath decided to use the farm workshop to manufacture implements the family needed on the farm rather than rely on other suppliers. HG Heath and Sons farm 1,400 hectares (3,500 acres) of crops and grass near Shipston-on-Stour as well as running a contracting operation. In 1992, Heath Engineering developed the Super Chaser, an automatic big bale collector which minimises traffic in the field at harvest. “The Super Chaser won a new equipment award at Smithfield, and we entered a partnership with Yorkshire manufacturer Richard Briggs and Big Bale Co (North). "We are still involved in its manufacture, and it works well for Big Bale Co (North) to market the machine as they have the contacts through their baler hire business,” says Mr Heath. More than 300 Super Chasers have been sold and the partnership builds 20 machines a year, with renewed interest in cutting compaction generating continued sales. “We have updated the Super Chaser over the years to meet with customer requirements and the interest in controlled traffic farming may offer further potential,” says Mr Heath. A range of other products followed, the most popular of which is the Heath Super Grab. 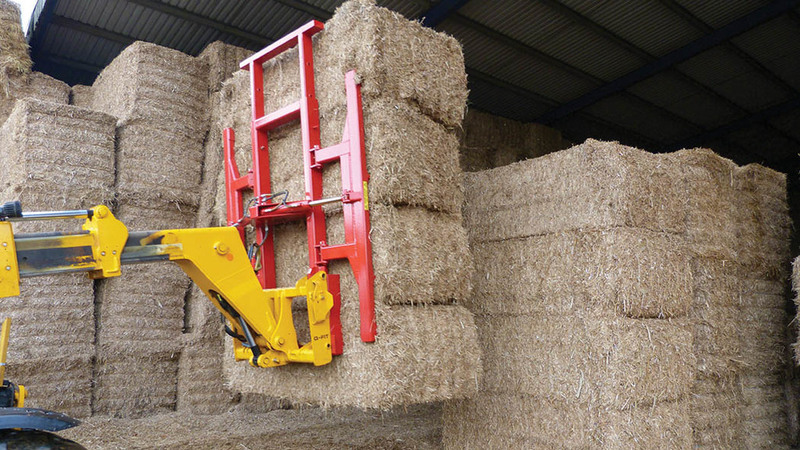 Using a hydraulic claw, it is said to offer safer and easier handling of large square bales up to 1,2m by 1.2m by 2.4m in size. “We were making 10 Super Grabs a year, but after our first appearance at Lamma in 2017, we sold 27 last year,” comments Mr Heath. Other developments have included the Safety Fork with folding pallet tines, a big bag handling jib and a folding mirror kit to avoid those frustrating smashed telehandler mirrors. Heath Engineering employs up to 10 engineers, and most products are sold direct to farmers, although a dealer network is being established as the business grows.